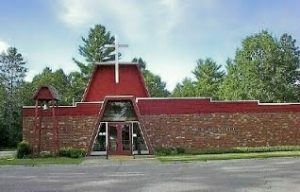 St. Paul Lutheran Church of Kalkaska, Michigan. Those of us at St. Paul Lutheran Church come together every Sunday at 10:00am to study God’s Words and Sacraments. Over the years pastors have given themselves to their congregation; read about them. The current pastor Eric Black, welcomes you. Contact us with questions or suggestions about this site or our services. If you need anything from our old site, you can find it here.